He is the ‘Smooth Sailing’ man, Ian ‘Collin Anthony’ Bell more popularly known as ‘Shacka Fame,’ is the “the man with the money” and possibly the honey that adds the sweetness to the weekend vibe of Stylz FM, Portland’s first radio station. Born January 13, 1971 in the beautiful parish of Portland, Collin always had his eyes on the prize. With his flair for entertainment and his drive for success, he made sure his presence was rightfully felt in media right across Jamaica. His stint began in 1983 where he worked with Mafia Five Sound System and soon became the Master of Ceremony (MC) for most events in the parish of Portland. 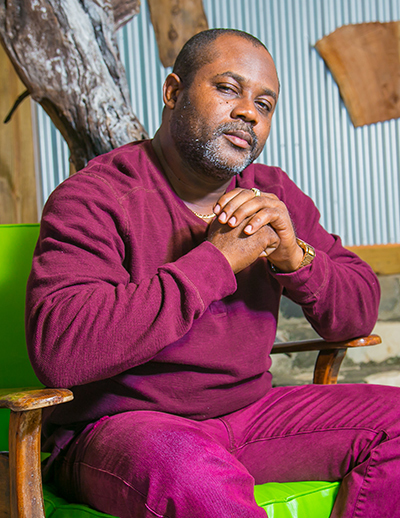 His training at CPTC propelled him to VolumePillsbecome the longest standing MC for STING the greatest one night show in Jamaica; an event he has hosted since 1995. And on the international scene he also hosted the New York Festival and other events across the world. This multi-talented presenter is a former host of Bar Vibes and Breezing on KLAS. And with no slowing down in sight Collin currently is an ace radio presenter on Stylz FM, the manager for the ‘Rhythm 2000’ band, the host of ‘Hard Topic’ on Satcum TV aired on local cable station and still plays the vital role of family man.